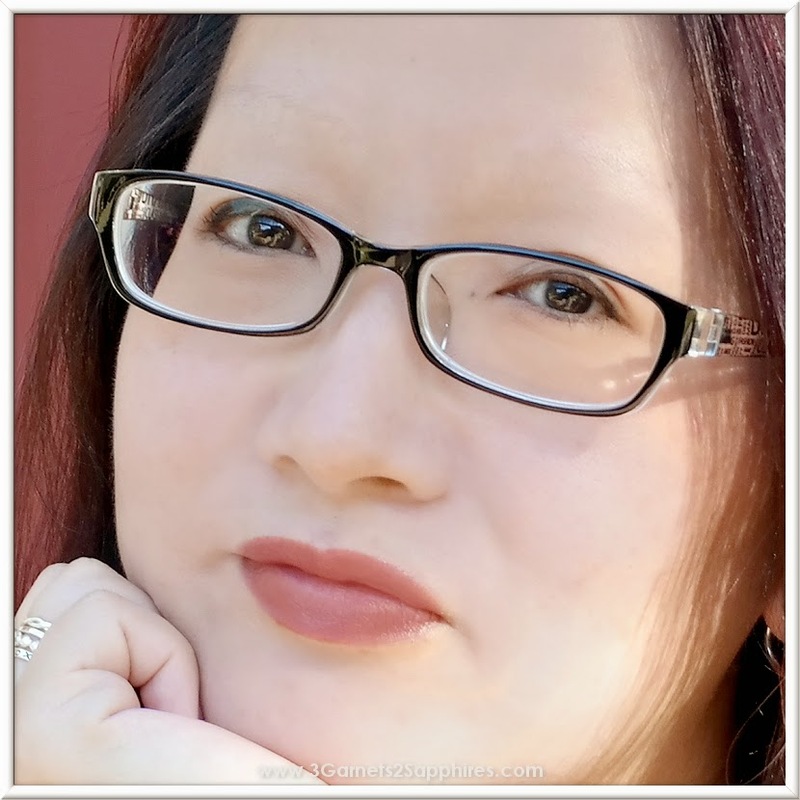 3 Garnets & 2 Sapphires: 4 Reasons Why I Love My Prescription Eyeglasses from GlassesShop.com! 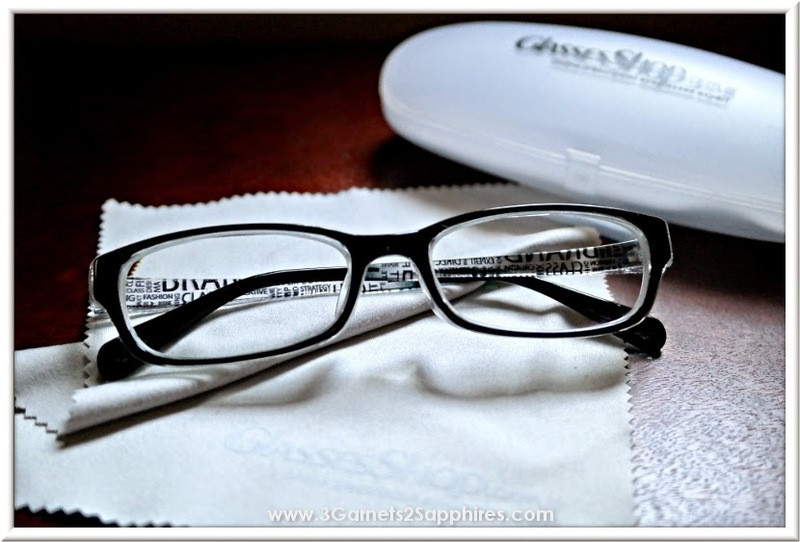 4 Reasons Why I Love My Prescription Eyeglasses from GlassesShop.com! 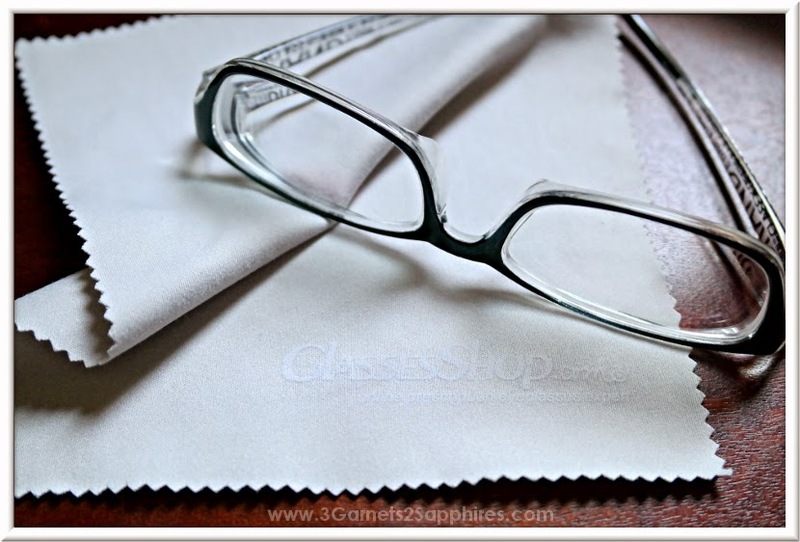 Thank you to GlassesShop.com for providing sample prescription eyeglasses for us to base this review upon. All opinions expressed are our own. If you've seen me around the web this past week, then you may have noticed that I have a new profile photo. That's because I wanted to show off my new glasses from GlassesShop. I've owned many different pairs of prescription eyeglasses as an adult and these might be my favorite pair yet. Here's why . . .
1. I wanted dark-rimmed glasses, but didn't want the same old plain black frames. I also could not see myself in some of the more ornate frames I've seen out there. The Charlottesville frames in black really caught my eye because they were different, but subtle. The text along the side is very on-trend since typography is currently so popular. 2. These eyeglasses are incredibly light! I have quite a strong prescription and it's been a very long time since I've worn glasses and have forgotten that they were on my face because they were so light and comfortable. 3. These glasses look and fit great! Two things helped me to make my decision about whether these frames were the right one ones for me: trying on the glasses virtually and comparing the measurements of these frames to those of my old ones. This is the first time I've worn non-metal glasses that did not constantly slide down over the bridge of my nose! I should mention that I have uneven ears, so every pair of glasses I try sit crooked on my face. Like with all other glasses, the ear pieces on these needed to be adjusted in order for the glasses to sit straight on my face. I was able to do this myself by making small adjustments. 4. The final price for these glasses upgraded with Ultra Thin lenses and anti-reflective, anti-scratch, and UV coating was $92.80! That is an amazing price. We usually go to our local BJ's Wholesale Club for our eye exams and to buy our prescription eyeglasses. The final price for our glasses after upgrades is usually about twice that price. GlassesShop also offers free shipping on orders over $49. 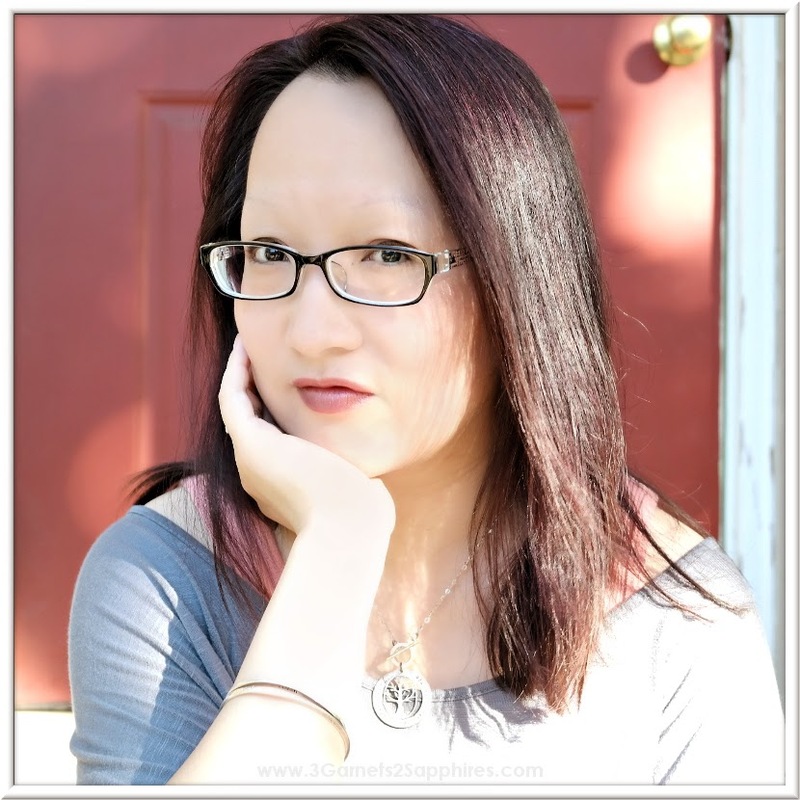 These Charlottesville eyeglass frames also come in blue and purple. 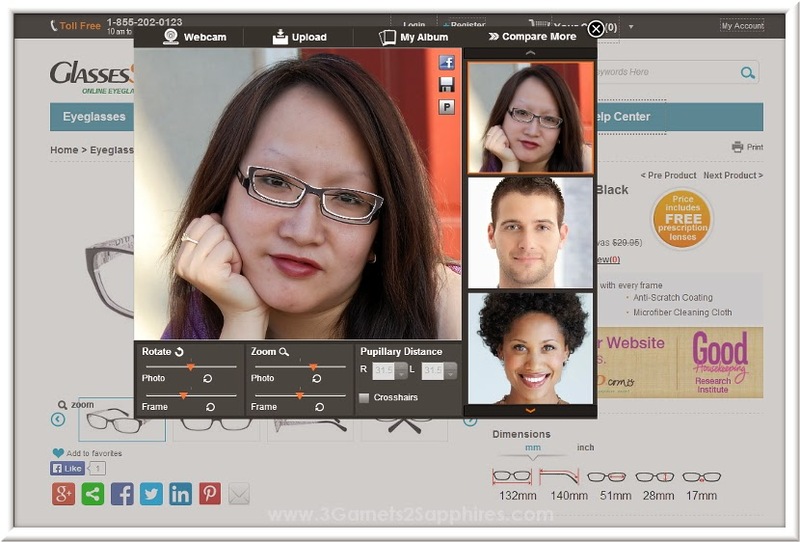 To browse their entire selection of frames, visit GlassesShop.com. Before you shop, be sure to check for GlassesShop promo codes in order to get the best price possible!